Check out the Bebés & Mamás show happening in November. Bebés & Mamás is a show aimed at families that brings together the main brands in the sectors of babies, childhood, future mums, new mums etc. You can enjoy a wide range of activities and free services, such as conferences, children’s massage workshop, diaper changing area, breastfeeding corner, baby restaurant, crawling track, inflatables, among others. The 18th edition of this popular annual fair will be on at IFEMA this month. Open both days to the general public from 10:00-20:00, tickets cost 11€ per person (or 8€ with a valid discount*). 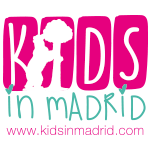 Follow our blog to stay up to date with the latest events in the life of Madrid.